“I am thoroughly impressed with Nathanael from Smart SEO, I signed my business up only a week ago and am already on the first page of Google for my listed keywords! “I have found my experience with Smart SEO to be a fantastic way to generate a greater online presence and begin to create further business for my commercial photography business. Smart SEO has built me a great website in www.hollowayphotographer.com and with the Google Maps listing I have seen an increase in traffic and business. Search engine optimisation will give you the ranking you need to get your business noticed. Our team doesn’t sleep until they know they have done what they promised: get you higher Search engine rankings. 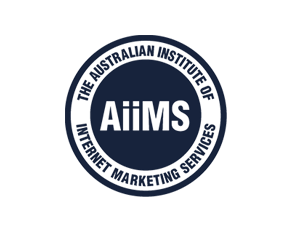 We have the proven track record you need to get your site noticed, improve your click through rate and increase your business because we are young, brilliant and the number one SEO agency in Australia. We have the number one SEO Analysts, SEO copywriters, SEO link builders and to complete our services: outstanding web designers who will work together to meet our promises to you – guaranteed. You will only pay for the keywords that make top ranking. Any keyword we recommend that does not make it to top ranking within an agreed amount of time will be provided for free until we get the top ranking we promised. Glamorous contacted Smart SEO in October 2011. Within a few weeks the majority of their keywords were achieving top ranking on Google. Within a few months their organic searches had improved by 300 per cent. They are now the top ranking out of 1.5 million results for their keyword searches. This can be you. We know it’s not always enough to have proof or even a guarantee to get you to take that next big step. That is why we provide you with ROI tailored packages so that every penny you spend is trackable and can be held up to scrutiny so you know exactly how well you’re doing when it comes to your ROI. We have the analysts who know how to work those Google analytics and whether you are using a single SEO service or a combined online marketing campaign we can show you how you’re doing, how to improve and what to stop doing. Everything we do is results driven. Every business we work for is our number one priority. And our number one priority: A number one ranking to your drive traffic and increase your sales.